In June, Pope Francis released Care for Our Common Home, an encyclical designed to build the moral case for fighting climate change, protecting the environment, and moving towards a path of sustainable development. 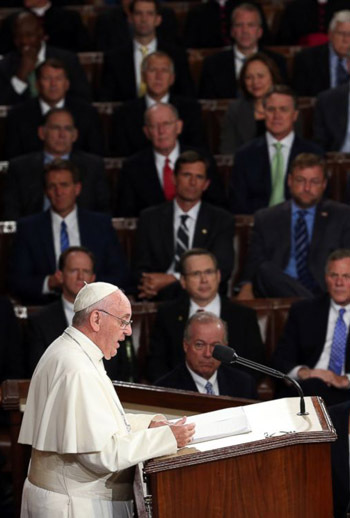 In his first two days in the U.S., Pope Francis gave a speech at the White House, and then, this morning in front of a joint session of Congress. In his speech, Pope Francis also called for greater assistance with the migrant crisis in Europe, banning the death penalty worldwide, combating religious extremism in all forms, and ending armed conflict.